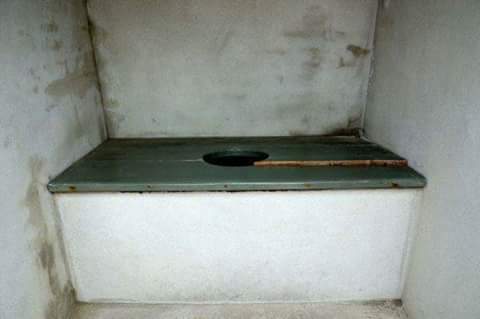 The Basic Registry and Information System in Nigeria (BRISIN) have called for urgent sensitization against the use of pit latrine because many youths now sniff latrines as substitute for codeine. Dr Misbau Lawal, the Coordinator, Health and Environment in BRISIN made the call while speaking with the News Agency of Nigeria (NAN) on Thursday in Ilorin. Lawal said that since codeine had been banned by the Federal Government, many youths now sniff pit latrine and lizard dung as substitute. He said that there was urgent need to discourage the use of pit latrines by the government at all levels. Data received will be used to plan for the management of the nation’s resources. He urged community leaders to sensitize their people and ensure they dispose lizard dung in their environment by burying it. According to him, lizard dung comprises uric acid and all reptiles excrete uric acid. “The vapour of decomposing human dung has effect on the central nervous system, producing narcosis just like codeine when inhaled. “People using pit latrine should dehydrate it with sulphuric acid or the government can recycle human defecation to make bio-gas for economic benefits,” he said. Besides, he appealed to the government to ensure codeine was not allowed into the country through border routes because some unscrupulous people could use other means to bring in the drug. According to him, every drastic measure must be utilized to save the youths of the nation and the government must be committed. Lawal said that the government should invest in youths by making farming lucrative and attractive. “It should endeavour to reopen industries shot due to lack of funds,” he said.